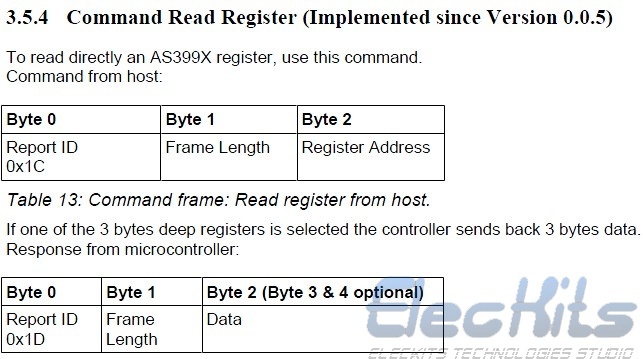 How to change the output level of this AS3992 reader? The transmitted power and receiving sensitivity of the reader will have an impact on the distance that the reader can identify the tags if they change. The default output power of the AS3992 chip on our redader module is -6dBm. We use an external power amplifier (20dBm) on the board. Then how to change the output power of this AS3992? 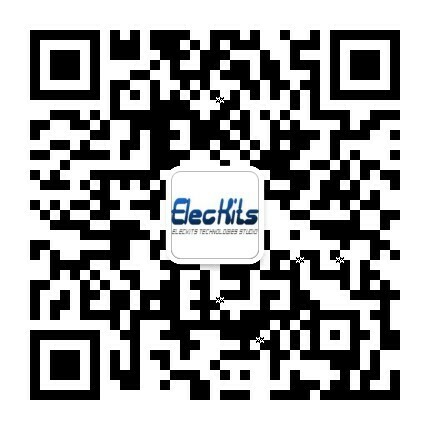 The output power of AS3992 can be set by bit 0~bit 4 of “Modulator control register (15)”. You can see this from “AS3992 Datasheet.pdf”. The range can be set is 0dB ~ -19dB. When we want to read or write the AS3992’s registers, we will use this commands below. Now I read the data of Modulator control register (15). It shows “06 3F 20”. Then I write 0x203F00 into the Modulator control register (15). Note: The low byte first no matter to read or write. 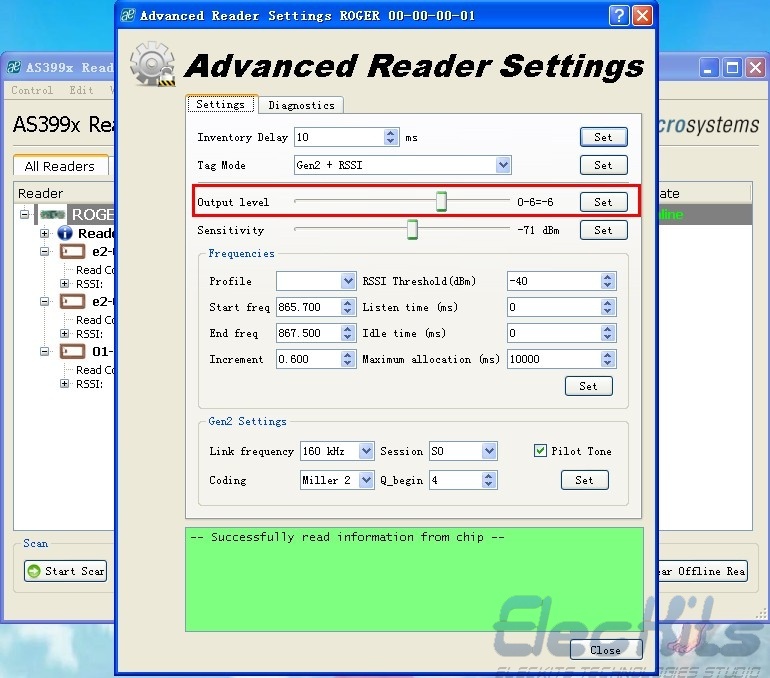 When you use the USB version, we can set the output level by the “AS399x Reader Suite Setup 1.4.exe”.